Binnu in Malawi: Where are the mud huts? Where are the mud huts? When I set foot on the tarmac at the Lilongwe Airport in Malawi, I was fully braced for all sorts of shocks – culture shock, the shock of cold water bucket baths in the morning, and the shock of the smell of the Lake Malawi fish in the market. What I was not prepared for was the shock of adapting to an urban life in Malawi. My placement is in the city of Blantyre, which is the commercial capital of Malawi – not quite the African village that most people picture! The roads are littered with swerving mini-buses, callous SUVs, speeding cars, adept Malawians gracefully crossing the streets and the occasional newbie like me looking the wrong way for the traffic (yes, like in the UK, they drive on the left but don’t have large unhelpful signs asking you to look to your right first). The roads themselves mimic the chaos with their unstraightness, non-right angles and with parallel roads meeting up at some point – not unlike some parts of Calgary suburbia. Only thing is, you’ll hear more Chichewa (one of the official languages of Malawi) than English (the other official language of Malawi). The shops on the roadside range anywhere from an Indian-owned textile shop to an Indian-owned auto-parts shop. Yep, Malawi is apparently a popular nesting ground for Indian entrepreneurs, who have created an interesting cultural dynamic that I haven’t yet understood completely. Suffice to say that you’ll find temples and mosques in this country that is known for its devout Christians. Also on the roadside you’ll find random plots of land growing maize, some as small as 10ft by 10ft!! It is quite the sight – you are walking along the road with a fancy private hospital on one side and a walk-in closet size maize field on the other. Maize (or corn as some of us call it) is the staple food crop in Malawi, and obviously they take it seriously. On an average day you will have maize servings three times a day – maize porridge for breakfast, nsima (a dough-like dish made from maize flour and water) with some relish for lunch, and nsima with some relish for dinner. Between these meals, if you want a snack you can have a corn on the cob or some popcorn from women cooking it over a charcoal stove. LWS: I have to talk here about the Malawian women – I am sure you have heard several incredible stories about them, but I was still flabbergasted when I saw them for myself. They are these amazing yet intimidating multi-tasking machines with enough muscle to seriously harm you but a smile that makes you feel so welcome. I was loitering around a water tap in an urban village community one day and luckily at that time, there was a water supply. So people were hustling to get all the water they could, while the supply lasted. By people I mean women and young girls ages 5 and above. There were pails and cans of all shapes and sizes. I saw this one young girl walk up with a baby on her back (it’s almost like an accessory – about one in three women I see are carrying a baby and the girls start training in this art at a very early age). She bends down to heave this shallow tub that probably holds over 30 gallons of water and with a friend's help gets it on her head, and then just nimbly walks away. Incredulous, I bend down to pick up a similar tub, and couldn’t even move it! As the women laugh at me, I sheepishly back away from the tub and let its rightful owner deftly pick it up with ease. Just around the corner, I see a woman making nsima, with a baby on her back of course. You can see the muscles in her right arm flexing as she uses a huge wooden spoon, nthiko, to mix this huge vat of maize flour, ufa, mixed with water. The vat is precariously balanced on a charcoal-fired stove, and she holds it steady by holding it with her bare hands! I have burnt myself on more than one occasion trying to imitate that. :LWS end. So what do I do when I am not stuffing my face with some form of maize flour? I work with a Malawian NGO called Hygiene Village Project, which focuses on promoting sanitation facilities and practices in rural and low-income communities. The project I am involved in is based in the community of Makata, which is sort of an urban village located in the suburbs of Blantyre. It is a sanitation marketing initiative – it is an approach that creates a demand and supply for sanitation facilities within a community. We are doing this by educating the people of Makata about the importance of clean latrines and good hygiene practices, and at the same time training the local artisans (bricklayers, carpenters etc.) on building permanent latrines with a proper system to collect waste. I’ll have more details on my project in the next update. For now, I just want to give you a feel for where I’m working. Urban villages (I wouldn’t really call them slums because they feel more like a village) are a very interesting entity. Several of the power structures and social dynamics are like a village, but they are highly influenced by their proximity to the city. So you’ll see all these booths selling cell phone cards beside vendors selling freshly butchered goat, just around the corner from a huge British Petroleum or Total gas station. The village chief speaks fluent English, just like his oldest son, who will eventually inherit his position. The houses are made from bricks (fired or unfired depending on what they can afford, and the availability of firewood) with a tin roof. Often there’ll be a tiny room beside the house, about the size of two telephone booths where people will run all sorts of businesses from tailoring to haircutting salons! There are large government-run primary schools with an enrollment of 4000+ students, that have to worry about the water faucets being stolen. And of course, they know more about the behaviour and attitudes of NGO workers than I do! In Makata, I have come across at least 4 different NGO initiatives in my first week there. I even came across a storage box at a school that was donated from the government of Canada, but I couldn’t really figure out the contents. Development work is a major industry here and I am just starting to get a sense of its level of sophistication. I will have more on this too in my later updates. In the meanwhile, I would love to hear what you are thinking and wondering. If you have a question that you would like to ask a Malawian (an NGO worker, a university student, a 4-year old girl in an urban village, a village chief’s wife …), please post it as a comment or email it to me at binnuinmalawi@gmail.com. 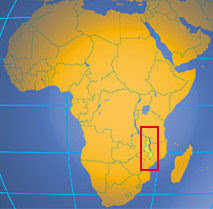 It's great to hear you have made it safe and sound for your assignment in Malawi. You have a wonderful way with words Binnu, it is nice to be able to read about your adventure. We will be looking forward to more updates as they get posted! Hello Binnu, we just read the posting and want to say thanks for letting us in on your adventure. You write beautifully. We will be looking forward to your next posting, keep up the great work! Hey Binnu, it's Marilyn. I have a question for everyone but the little girl. What is a typical date like over there? Is there dating? Are there arranged marriages? Yes, I know, I have a one track mind. See ya!